Somerset is a county in South-West England, in the West Country. It is bordered to the west by Devon, to the south by Dorset, and to the east by Gloucestershire and Wiltshire. 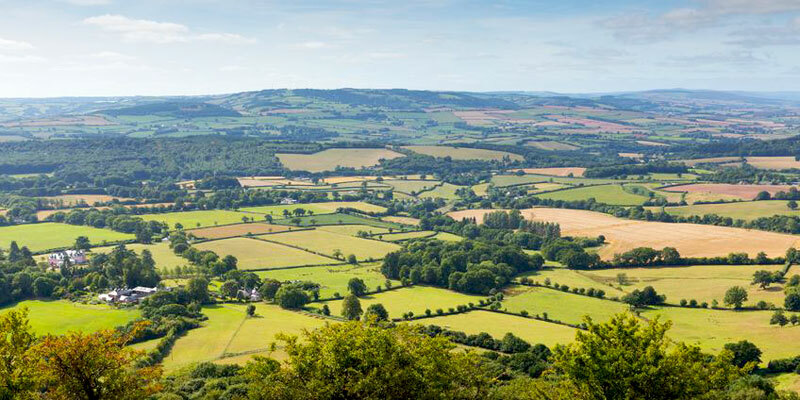 The rolling hills of the Quantocks and Mendips, and the Exmoor National Park itself make this a very popular tourist destination. A region also offers dramatic coastline, seaside resorts like Weston-super-Mare and Minehead, which offer activities for all the family and water sports. For walkers, you can start The South West Coast Path which begins in Minehead along the coastline to Poole in Dorset. Attractions that are a must visit in Somerset are Well Cathedral, Glastonbury Abbey and the many stately homes and castles the region has to offer. In the summer months, there are many festivals and events going on through out the region including one of the most famous, Glastonbury Music Festival. A sight not too be missed is Cheddar Gorge, one of England's most iconic and spectacular landscapes. From weekend breaks to long summer holidays, Somerset offers a range of holiday accommodation from budget camping and caravan sites to Luxury cottages. Family friendly and dog friendly accommodation are available though out Somerset.